Fusing Sands is a new collaborative partnership, fusing one designer’s desert-inspired garment designs with another’s island-inspired artwork to form unique, Australian made wearable art. 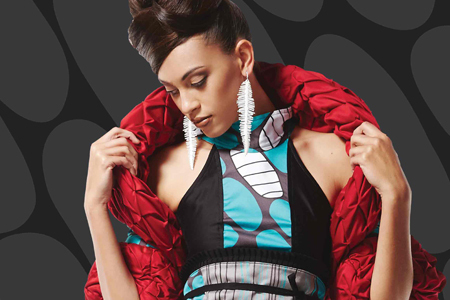 Created by fashion designer/stylist, Christy Van Der Heyden & surface pattern/interior designer, Francoise Lane, the bold and vibrant designs are a contemporary interpretation inspired by two of Australia’s most iconic regions – the Great Barrier Reef /Torres Strait Islands and the Red Centre /Simpson Desert region. Behind the surface of both garment design and pattern art lie untold stories of desert wanderings, island belongings and deep connection to country. Fusing Sands is the space where Desert meets Island to explore diversity through design.